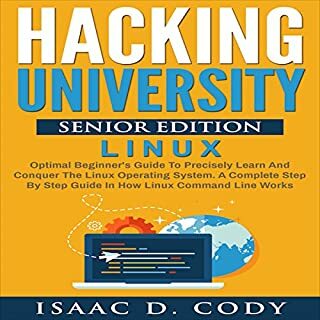 The second volume of Hacking University will serve as a supplemental edition to take your hacking skills and knowledge to the next level. However, this book will still be newbie friendly to anyone who has no hacking experience. It is also a great addition to Hacking University Freshman Edition. 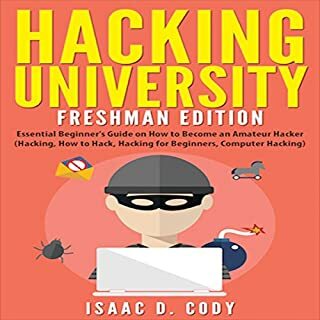 Hacking University: Freshman Edition is a beginner's guide to the complex security concepts involved with hacking. Whether you are an aspiring "hacktivist" or a security-minded individual, this book can start you on your career of exploration. Master the Linux operating system and hone the power of its command line today! If you've ever dabbled with Linux or ever wanted how you can start leveraging the command line system even if you have no programming experience, then this book will provide the basis and tools you need to become successful with Linux. This is a two-book bundle related to hacking mobile devices, game consoles, and apps and dominating the Linux operating system! Two manuscripts for the price of one! This is a two book bundle related to starting to master Python programming language and dominating the Linux operating system! 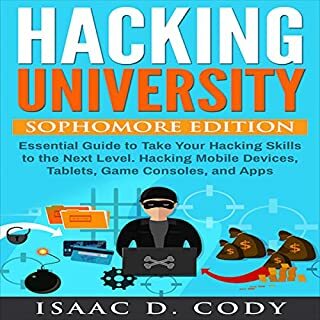 The following chapters will focus on the basics of hackings, starting by listing the possibilities that can be achieved by hacking as well as the most common motivations. Next, it will cover some basic technology related terms that are frequently mixed up even by security experts. This book will focus on some of the most dangerous hacker tools that are favorites of both White Hat and Black Hat hackers. It begins with some of the fundamentals of networking and technologies that are vital to be aware of for every hacker. This book will focus on some of the most dangerous hacker tools that are a favourite of both White Hat and Black Hat hackers, beginning with some of the fundamentals of networking and technologies that are vital to be aware of for every hacker. In order to understand hackers and protect the network infrastructure, you must think like a hacker in today's expansive and eclectic Internet and you must understand that nothing is fully secured. 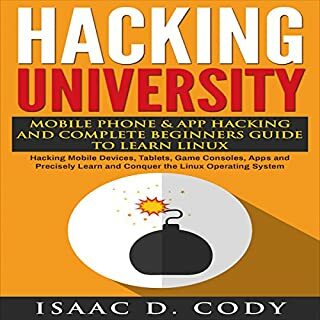 Learn how to hack from this comprehensive audiobook. It will teach you how about the best tools for each kind of hacking, attacking with frameworks, cracking encryption, and various other subjects related to hacking. Python is one of the best programming languages out there. It is easy for beginners to learn and powerful enough to help even advanced programmers get their work done. This bundle includes Python Programming for Beginners, Python Programming for Intermediates, and Python Programming for Advanced. Ethical Hacking: A Comprehensive Beginner’s Guide to Learn and Master Ethical Hacking will walk you through the processes, skills, and tools you need to succeed. If you want to master ethical hacking, then this is the audiobook for which you have been looking. Have you watched the news lately? They can't stop talking about hacking. It is portrayed in movies, shouted about in media headlines, and typically gets a lot of attention. In fact, in the run up to the 2016 US Presidential election, there were allegations made nearly every day that the Russians were influencing the election by hacking into American databases and systems. And who can forget Julian Assange and his infamous WikiLeaks that successfully hacked into hundreds of thousands of emails, and whose actions may have kept Hillary Clinton out of the White House. Do you want to learn how to hack any wireless networks using only a laptop? Do you want to know how your laptop can become a wireless access point? Do you want to access a detailed guide on how to manipulate wireless networks? Here's how hackers do it. This is a two book bundle related to hacking mobile devices, game consoles, and apps and dominating the Python programming language! Programming has never been more in demand in today's world and for tomorrow's job market. Python has set the standards in terms of the go-to programming language for many small and big businesses in the corporate, health, education, finance, and tech world. 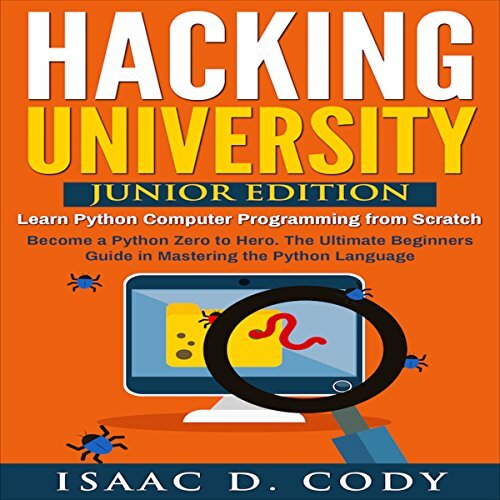 The third volume of Hacking University will help you become a proficient programmer in the Python language. However, this book will still be newbie friendly to anyone who has no programming experience. It is also a great addition to both Hacking University Freshman Edition and Hacking University Sophomore Edition. The book itself contains actual step-by-step techniques and guides to simplify the programming process. It will be fun, informative, and very user friendly! if your looking to get started in python then this is your book. you probably want some written source too. For beginners who wants to learn to hack with the use of Python, this is an excellent book. It presents the basic ideas of Python, and it provides activities for the readers which will them comprehend the programming skills. It's easy to learn, and you will find the data that you have to know about hacking. Some may say that it is forbidden, but those people don't understand the importance of it. It protects your computer system in any cyber attack, particularly when you have a business. This book will make you have a deeper understanding about hacking, and it would be an excellent help. This book gives us a good understanding of the python. Its a beginners guide to knowing what the system is capable of. The techniques how to get started, tools and gadgets and system requirements necessary are all provided to guide us. I am still mewed to python programming and searching for a comprehensive option to learn it.This book has been very well explained about this important programming. The simplicity has made this book more effective. It will helo you to be a hero from zero definitely. What made the experience of listening to Hacking University: Junior Edition the most enjoyable? This book is really amazing i loved it...and enjoyed it very much..It also covers the related software and Integrated Development Environment and tools necessary to distribute programs, online Python resources, the Python programmer job market, Python history, why people use it its benefits, and setting up a development environment. What about Kevin Theis’s performance did you like? I have listened a lot of books about hacking already and this one is slightly different from the rest. i think it was not actually about hacking as the title suggests. Rather it teaches the reader about Python Programming. The basics about Python programming was presented as well as some samples of programs were provided.HIGHLY RECOMMENDED!!! Yes, since we are having a hard time to know the basics of Hacking. 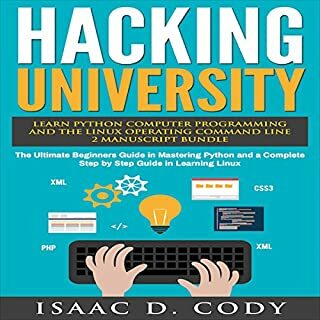 What other book might you compare Hacking University: Junior Edition to and why? This book is more comprehensive and gives a detailed information. Everything. We really liked it! I liked this book indeed! From scratch to amazing craft! The step by step guide is the most enjoyable part of the book. Listening to it will following it is so much fun while learning. Kevin Theis' performance is a great one. Clear and good quality of narration. 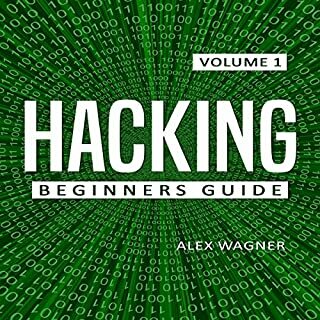 There are so much to learn about hacking and this book made it easier for me as a beginning. I am glad to have this and share this to my brother.